Since graduating in the top third of his class at Suffolk University Law School in 2009, Attorney Vincent A. Tofani has rapidly established himself as one of the most effective and successful criminal defense attorneys in the Commonwealth of Massachusetts. Attorney Tofani’s passion for the law manifest at an early age, and he has diligently pursued his life long dream of representing individuals charged with criminal offenses, and aggressively fighting for the rights of every single client. As an active member of the National Police Accountability Project and the American Civil Liberties Union, Attorney Tofani utilizes his exceptional understanding of the individual rights that are guaranteed to all citizens of the United States of America by the Constitution to hold government officials accountable, and obtain superior results for every client. Attorney Tofani’s rapid ascent can be attributed in large part to the exceptional trial attorneys, under whom Attorney Tofani studied and diligently honed is skills as a criminal defense attorney. After earning the best grade in his criminal law class, Attorney Tofani served as an intern in the Major Felonies Bureau of the Suffolk County Superior Court District Attorney’s Office. Attorney Tofani assisted the most experienced trial attorneys as they prepared pretrial motions and prosecuted cases including Murder; Arson; Aggravated Assault and Battery; Larceny Offenses; Subsequent Offense OUI cases; and, Drug Distribution and Trafficking offenses. Next, Attorney Tofani worked for the legendary trial attorney Richard Egbert, while his exposure to criminal justice system continued to broaden, and his skills continued to improve. Immediately following graduation, Attorney Tofani worked as an associate attorney for Francis T. O’Brien, Jr. – yet one more of the most effective and respected criminal defense attorneys in the Commonwealth of Massachusetts. Attorney Tofani excelled over the next six years, and successfully drafted and argued a numerous of motions to suppress evidence and motions to dismiss. 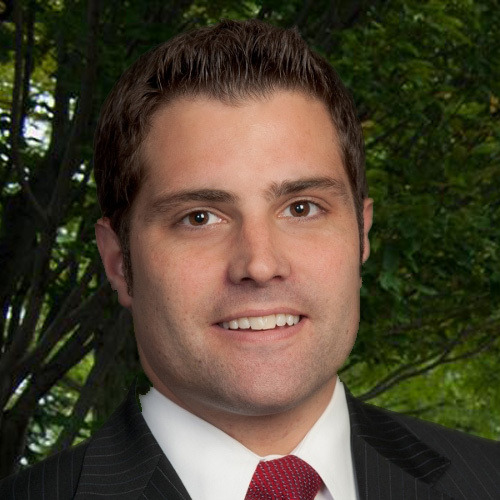 Throughout his career, Attorney Tofani has been recognized by the legal community with the following accolades: Top 40 Under 40 by The National Trial Lawyers; Rising Star by Super Lawyers Magazine; Top 10 Under 40 by the National Academy of Criminal Defense Lawyers; and, recently honored by Massachusetts Lawyers Weekly Excellence in the Law edition. Attorney Tofani specializes in cases involving drunk driving; drug offenses; and, crimes of violence. He has solidified his reputation with a proven track record of success. Attorney Tofani is also actively involved in the Wounded Warriors Project; and he devotes a percentage of his criminal practice group to assisting United States Veterans that are transitioning into civilian life, and may face criminal charges; substance abuse issues; or, mental health issues. Attorney Tofani offers reduced fees when representing United States Veterans, as a small thank you to the true heroes that fight for every citizen’s unalienable rights and freedoms. Attorney Tofani is actively involved with individuals struggling with substance abuse issues, and the myriad collateral consequences and obstacles that arise therefrom. For years, Attorney Tofani has fostered the relationships with the recovery community and will aggressively assist with the recovery needs of his clients; including but not limited to: probation surrender hearings, sober living facilities, and more long term residential treatment options. If you are facing criminal charges, or the threat thereof, call Attorney Vincent A Tofani, and he will immediately begin to fight for your rights. Read more about his Criminal Defense Practice.